Time flies and it seems I just blinked my eyes while a year has passed by..
And what a year it was...there is never a dull moment in our household that is for sure . I am proud to say that we have a new addition to our family, a lovely little girl called Amani. 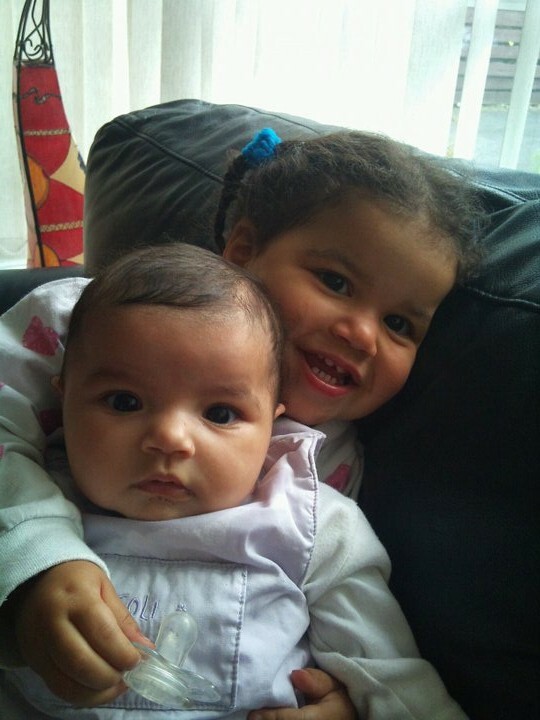 Dounya is now a big sister too and she takes her role very seriously ...in charge of dummies and lost cuddly bears! Dounya continues to be in very good health and is a joy to have around ..if anyone can turn a smile on your face she can! Heart wise there are no worries at the moment ( and i hope it will stay like that!) and she has now once a year her cardiac check up..the next one will be somewhere in December. I will continue to update now and then on her here ( and not take a year like I have done now due to being far too busy) but will start another blog about the adventures of me and the whole household. 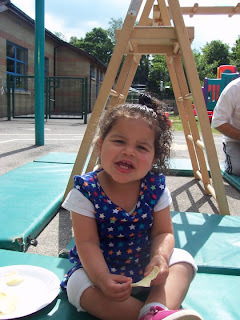 This was and will stay Dounya's blog, her journey with CHD. She will read it one day and maybe when she is a teenager continue herself...who knows? So I will not delete it and keep on writing about the things that are important steps in her life. Like turning 2 next week....time does fly!